year of this prestigious event. 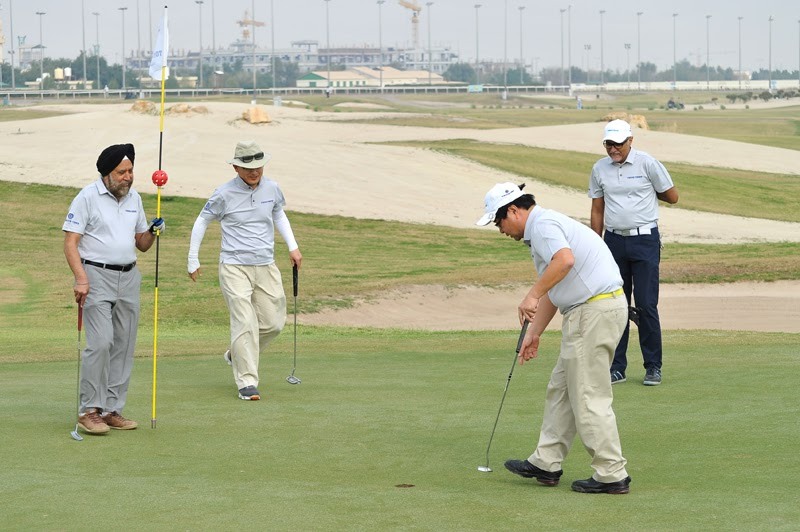 An important fixture in the annual golf calendar of Kuwait, the tournament is organized in February/March to commemorate the National & Liberation Days, and appropriately the trophy is called the ‘Liberation Cup’. Being an open event, the tournament has always attracted golf enthusiasts from all over. This year also, there was an overwhelming request for participation, and eventually 100 players were shortlisted. The distinctive feature of golf is the provision of handicap system which ensures a level playing field by allowing players of varying skill levels, genders and age groups to compete on a single platform. The weather was quite pleasant last Friday with mild cloudy conditions, and a light, cool breeze. The ambient conditions together with the beautifully-landscaped 18-hole course of the Sahara Club contributed to a good game of golf. As usual, the game was played in the ‘Stableford’ format, which allows for relatively speedy play. The tee-off commenced at 8:00 am using the Shotgun approach, and the players were able to complete their game by around 1:30 pm. Nam Gyu Cho came up with a dazzling performance to win the tournament with a net score of 35 points. He was closely followed by Wahab Al-Rashoud and David Peterson in second & third places respectively. 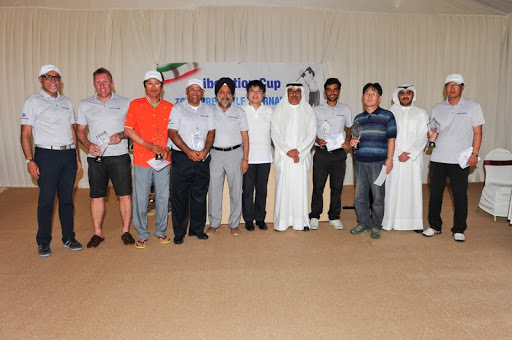 The coveted Best Gross trophy was won by Jongkuk Choi, who came up with a superlative gross score of 72 points. Among the side prizes, the trophy for Longest Drive – Ladies’ was won by Kyung Ok Hyun, whereas the corresponding prize in Men’s category was won by Myung Chul Lee. The prizes for Nearest to Pin were won by Fadia Emadi Al welayti and the veteran Qatami Al-Qatami in Ladies’ and Men’s respectively. Prize distribution was organized in the afternoon in the gracious presence of Mishari Al Mailem and Hiroshi Umehara, Oversea Manager of Toyo Japan. Speaking on the occasion, Kuldeep Lamba, Managing Director, Al Mailem Group expressed his satisfaction at the large turnout. 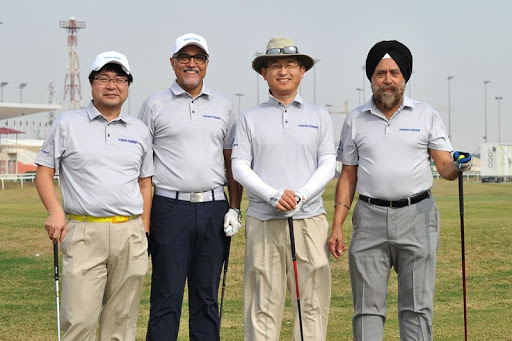 “It is heartening to see such a wonderful response for this tournament always”, he added, “I also take this opportunity to thank Toyo officials, who every year specially fly-in from Japan to give their support for the event”. Finally, he complimented Razmic, Edward, Richard, Cameron and other Sahara Club officials for their professional handling of the event, and expressed hope that the tournament would continue to receive the same level of positive response in future also.